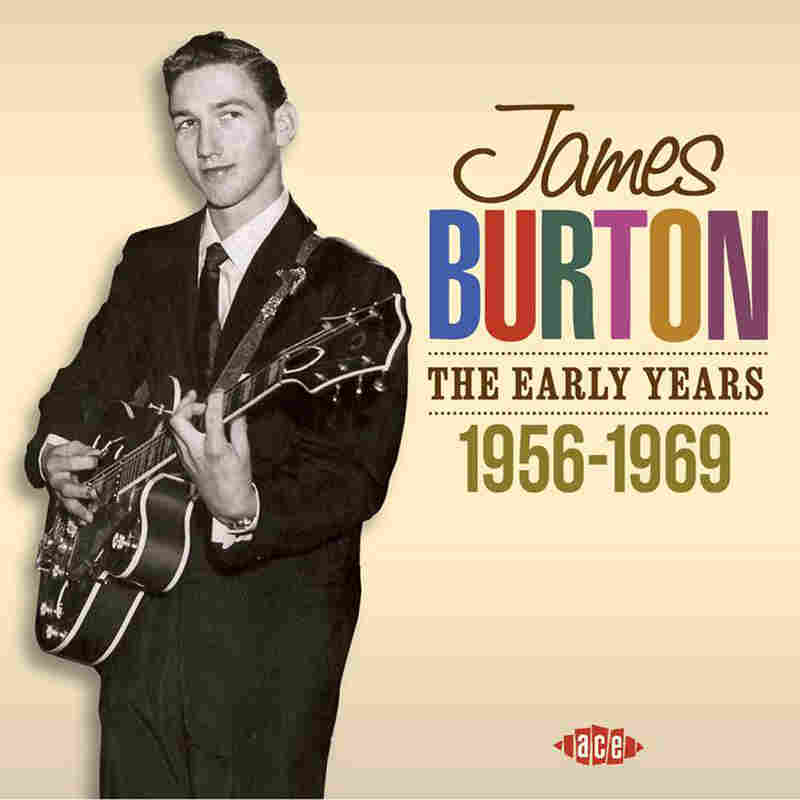 James Burton: The Teen Who Invented American Guitar You've heard guitarist James Burton even if you don't know it. Ever since he was 15, he's been recording behind a bewildering number of artists, from Ricky Nelson to Ray Charles. He also managed to put out some records on his own. Rock historian Ed Ward shares his story. What were you doing when you were 16? When he was 16, James Burton was inventing the American guitar. He'd been born in Dubberly, La., in 1939, and was apparently self-taught on his instrument. At 15, he cut a single backing local singer Carol Williams, and then one day he came up with a guitar riff that he liked. He took it to a singer from Shreveport he was touring with, and they worked out a song to use in his act. One thing led to another, and it wound up on a record called "Suzie Q," credited to Dale Hawkins, the singer. This led to a regular gig on the Louisiana Hayride radio show, which, in turn, led to Burton's joining the band of Bob Luman, a rockabilly and country singer who made some great records, due, of course, to having a great guitarist. Luman found himself in Hollywood to make a film called Carnival Rock, and one night at a show Luman was playing, the Collins Kids, Larry and Lorrie, were there, as was Lorrie's new boyfriend, Ricky Nelson, who was a television star thanks to his parents' sitcom The Adventures of Ozzie and Harriet. Ricky had recently had a hit record, and had signed a deal with Imperial Records. Seeing a kid his own age who could play that well, he immediately offered James a place in his own band, and each week, Ozzie and Harriet signed off with Ricky doing one of his latest records. James Burton was there, making it look easy. Working with Nelson solidified Burton's place in the Hollywood rock 'n' roll universe, and he started getting called for sessions. There were hundreds of them, and neither he nor anyone else remembers all of them, but by the early '60s, he was a busy guy. The obscure "Tryin' to be Someone" by David and Lee, from 1962, shows Burton as one of the pioneers of a stinging, one-string solo technique that was soon to make Bakersfield country music famous, although in this case, he's backing up David Gates and Leon Russell, who would make an entirely different kind of music. Shortly after this, British TV producer Jack Goode decided America needed a British-style rock and roll television show, and launched Shindig! It never really caught on, but James Burton was asked to assemble the band. The Shindogs, as they were known, featured Glen D. Hardin on piano, Joey Cooper on rhythm guitar and vocals, Chuck Blackwell on drums and Delaney Bramlett on bass. They left behind a single for Warner Bros that wasn't particularly inspired, but showed the genesis of a Los Angeles sound which would grow in the next couple of years, as would the L.A. rock scene. And although he was by then a member of the Strangers, the band fronted by rising country star Merle Haggard, Burton was called in to play dobro on A Child's Claim to Fame, one of the more impressive albums to come out of the Sunset Strip. Playing with Haggard was surely fun, but before long, his former Shindog pianist Glen Hardin approached him to see if he'd like to work in another band, fronted by a singer named Elvis Presley. James Burton said yes, but that's a story for another time. He was, however, inducted into the Rock and Roll Hall of Fame in 2001, by another guitarist named Keith Richards, and he's still playing.